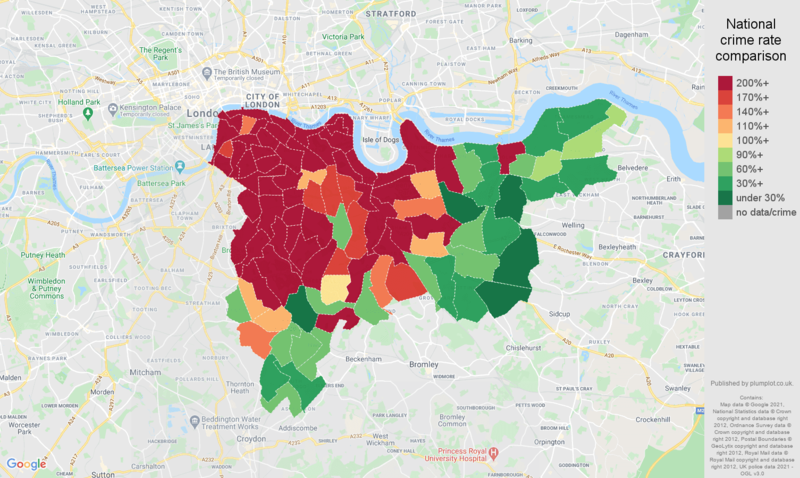 South-East-London bicycle theft crime statistics in maps and graphs. Annual crime rate in South East London postcode area is 2.8, i.e. 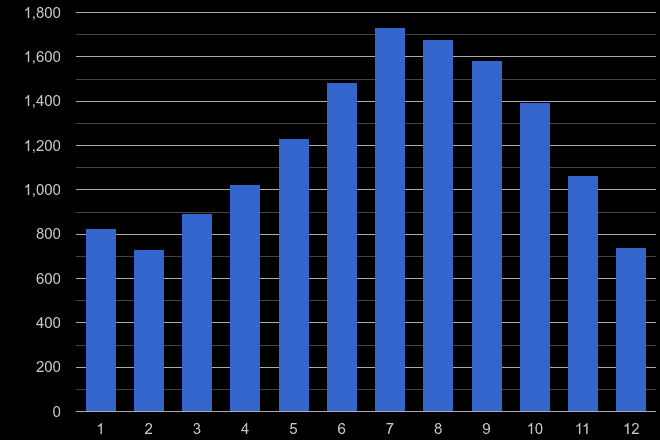 2.8 crimes committed per annum per 1000 workday people. 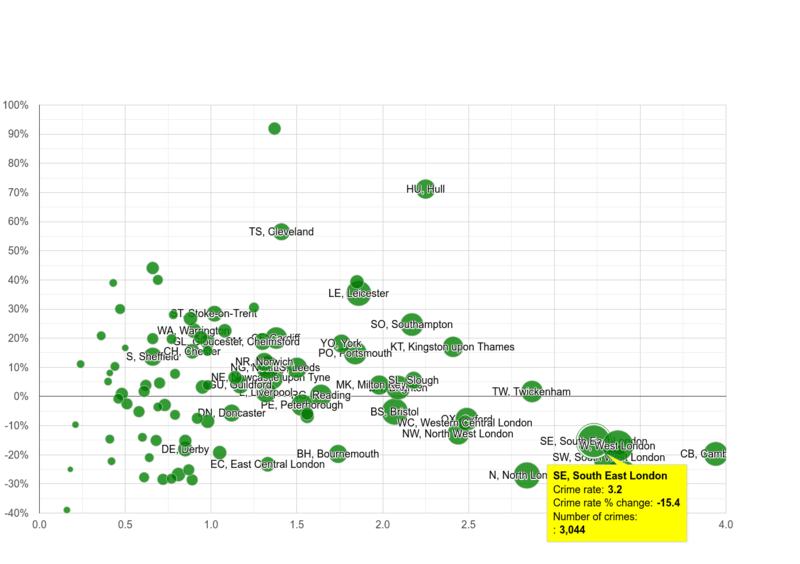 Compared to the national crime rate, South East London's crime rate is at 168%. Bicycle theft crime makes up 2.0% of all crimes committed in the postcode area. The total number of "bicycle theft crime" is 2.6k, and this number has decreased by 7.4% when compared year-over-year in the period of March 2018 - February 2019. Bicycle theft crime rate is 2.8 crimes committed per 1,000 working people per annum. It's the 10. highest crime rate out of 104 England and Wales' postcode areas. The total number of "bicycle theft crime" is 2.6k, and this number has decreased by 7.4% when compared year-over-year in the period of March 2018 - February 2019. In the graph below, postcode area are compared by crime rate and crime rate percentage change. Crime rate percentage change compares the postcode area crime rate between March 2018 - February 2019 to the postcode area crime rate in the previous 12 months. The size of the circle reflects the number of total crimes committed. The bigger the circle, the higher the number of crimes committed in the postcode area.